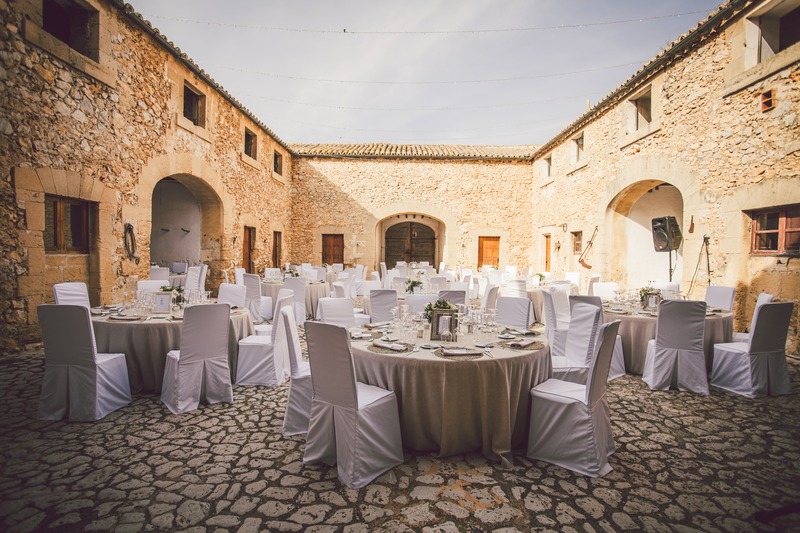 Our second June wedding was at the stunning Bendinat Castle. Having been together for many years, our couple had now decided to tie the knot in these beautiful surroundings, surrounded by their family and friends. 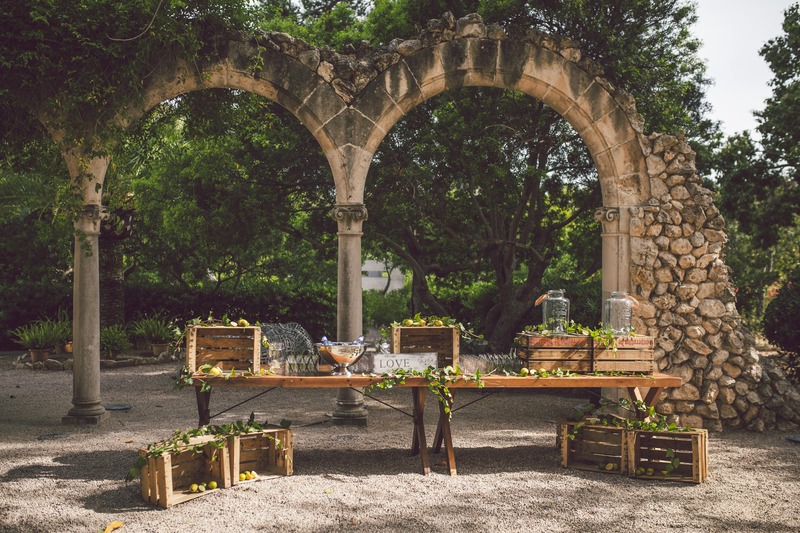 The ceremony took place in the castle's open-air ceremony space- a huge pergola frame covered with trailing flowers. Inside, it creates a light airy ambiance with views of the sea. An ekegant chandelier hung above the ceremonial table and two large pillars with urns were filled with lavish cream floral displays with light touches of greenery. Simple white benches provided the seating and the cream aisle carpet was sprinkled with cream rose petals while a string quartet played softly to the assembling guests. The ceremony was warm, welcoming and personal and ended with our singing celebrant's own rendition of 'You raise me up' which was a great finale! The guests then moved down to the landscaped terrace garden while the couple enjoyed a celebratory glass of cava in the castle before appearing at the top of the elegant stone steps. Then the guests each released a heart-shaped white helium-filled balloon into the clear blue sky. 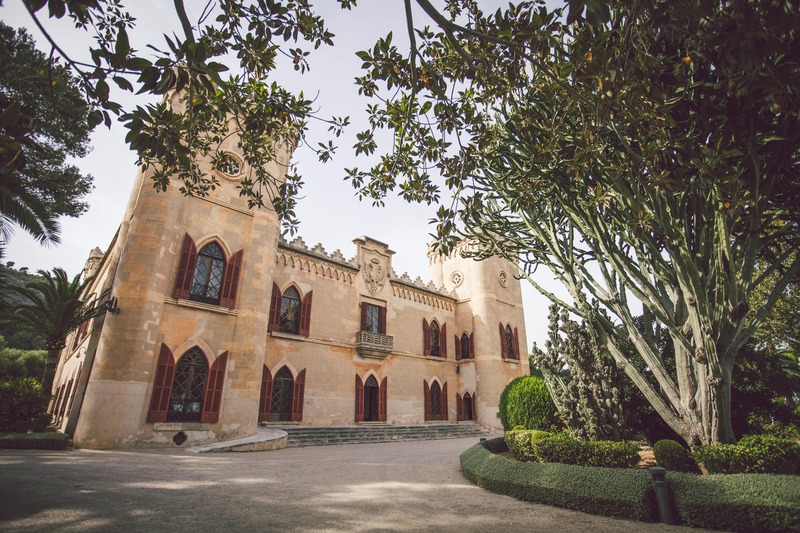 Cava and canapes were served, including a jamon-cuttter who skilfully carved wafter-thin slices of flavoursome Iberian ham, while the couple were spirited away for photographs in the gardens. 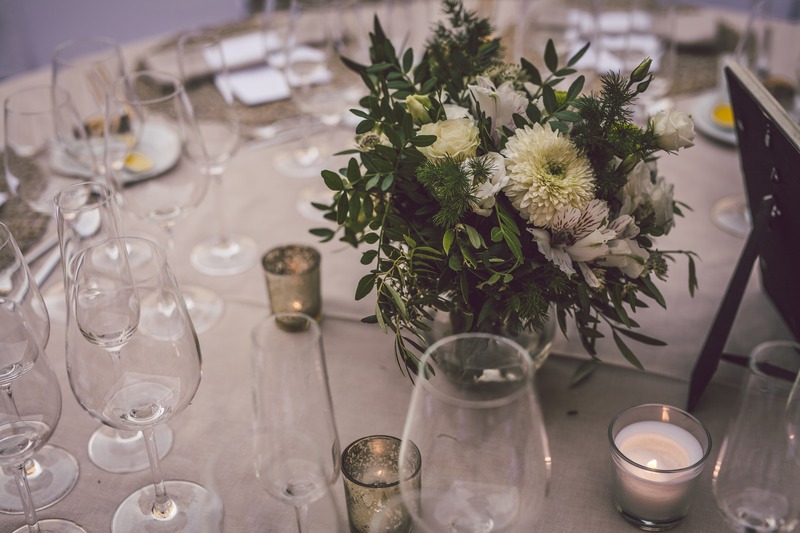 Then everyone made their way to the inner courtyard of the castle buildings where the dinner tables had been dressed with elegant stone-coloured cloths, fresh cream and green floral arrangements and gold votive candles. Fire-dancers dressed in white led the couple to their table. 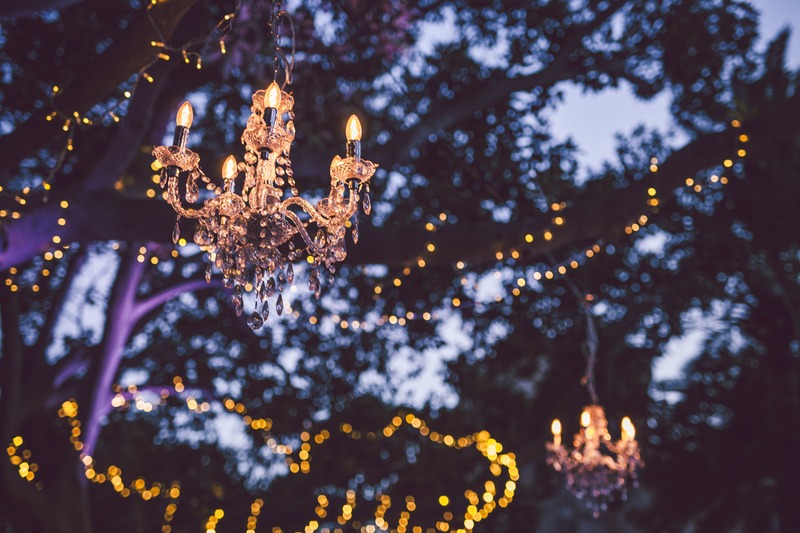 Outside, the castle grounds had been dressed for the party with fairy lights twinkling in the trees and elegant chandeliers suspended from the branches. 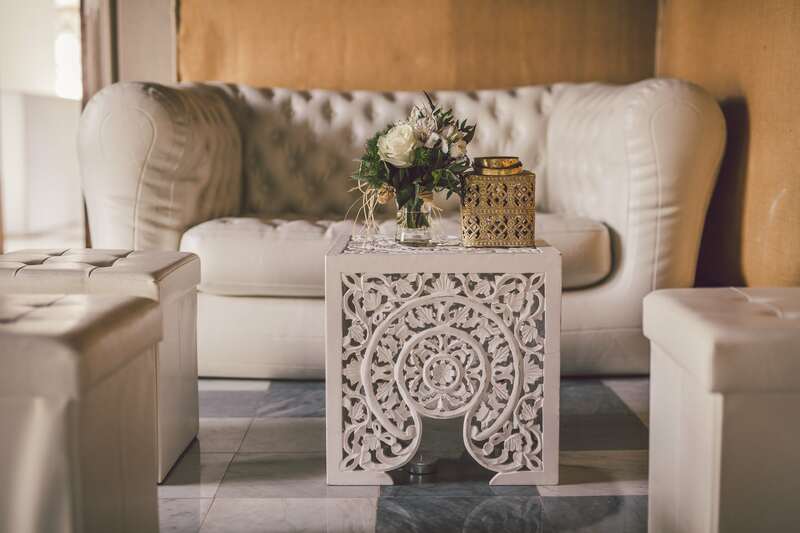 While inside, white chillout furniture with gold candle-holders created an elegant ambience while in the courtyard, under shady palms with tinkling fountains, white padded cubes and Moroccan-style occasional tables with candles created a tranquil chill-out zone. After dinner, the fire-dancers, twirling their fiery band of batons, led the guests to the party area in a blaze of light, where the band, The Sindicate, were ready to get the party rolling in style.